On the surface, they may seem different—one is a book about American jazz, the other is about the relationship between romantic and experimental modern poetry—but Amiri Baraka’s Digging: The Afro-American Soul of American Classical Music and Poems for the Millenium, Volume 3: The University of California Book of Romantic & Postromantic Poetry, edited by Jerome Rothenberg and Jeffrey C. Robinson, both won the 2010 American Book Award from the Before Columbus Foundation. Digging profiles a variety of American jazz musicians with an emphasis on African Americans’ influence on American music and social change. 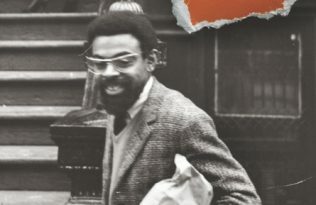 Author Baraka, who has ranked among the most important commentators on African American music and culture, brings home to us how music itself matters, and how musicians carry and extend that knowledge from generation to generation, providing us, their listeners, with a sense of meaning and belonging. Digging has also been honored with the PROSE Award for Best Music & Performing Arts book and was a finalist for the Lifetime Achievement in Jazz Journalism Award from the Jazz Journalists Association. Poems for the Millennium may not deal as directly with American culture as Digging, but as a piece of American culture itself, the work of literary theory reflects the sheer diversity of intellect possible in a melting pot nation. The previous two volumes of this acclaimed anthology set forth a globally decentered revision of twentieth-century poetry from the perspective of its many avant-gardes. In this latest installment, Rothenberg and Robinson focus on romanticism, defining it as experimental and visionary, illuminating the process by which romantics and post-romantics challenged nineteenth-century orthodoxies and propelled poetry to the experiments of a later modernism and avant-gardism. Founded in 1976, the Before Columbus Foundation is devoted to bringing America’s myriad of types of people and ways of living and thinking to a wider audience through literature that reflects that diversity. Digging and Poems exemplify the type of literature most admired by the foundation in how they reflect the multiculturalism which defines American culture. UC Press also won the award in 2006 for its title, Audiotopia: Music, Race, and America, by Josh Kun.